Themes Indep author developed the SimpleMag theme in June 2013, especially for the news and magazine websites. The theme has a beautiful, minimalist design with attractive layouts. SimpleMag brings you a custom page builder, widgets, and additional tools, to help you build a great magazine, blog or eShop website. This modern theme is also compatible with many browsers and supports most of the popular WordPress plugins. The beautiful design combines well with the simple and aesthetic architecture. As a result, SimpleMag is an interesting and styled template. It’s suitable for creative authors who want to develop a blog or magazine website using a refined design. SimpleMag comes with two options for selecting your site’s layout, full width or boxed. You don’t have to worry about the site’s behavior on small screens since the ThemesIndep author made the SimpleMag layout responsive with retina ready logo. So, your website will look gorgeous on any device and supports swipe gestures and off-canvas navigation for mobile gadgets. 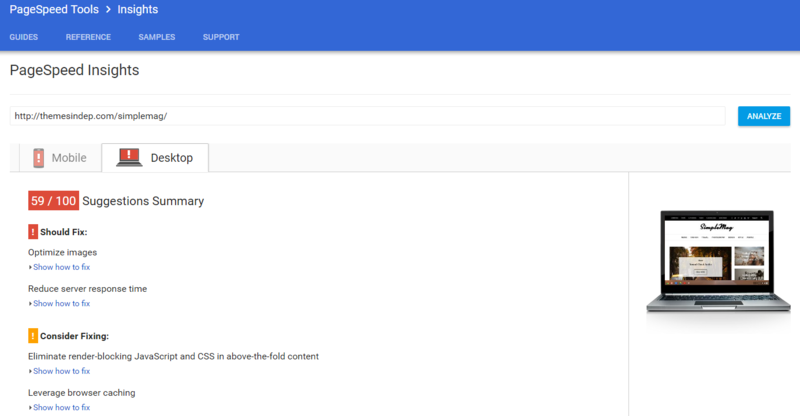 If you want to see how your site will look like and behave, you can also import the demo content from the theme files package. SimpleMag comes with three different ways to display pages – using a default template, customizing it with the Page Composer and as a sitemap. All the page elements, starting with the pagination buttons, numbers, categories, and tags, are crafted to be user-friendly. The theme brings you two custom menus: the main menu and, also, a Top Strip menu. The main one is placed under the logo, while the top bar menu called Top Strip will appear in the top section of the website. These two menus can be displayed at the same time, or used independently. If you want a slider, SimpleMag brings you a flexible one to enhance the value of your page. First, you can choose between displaying two custom posts or full width article, then add one of the three styles and create a beautiful slider. An image, title, button text, and link can also be a part of your slider. You can insert images and create sliders or carousels like a block from the Page Composer. Also, if you would like to feature a video, you can embed a YouTube or Vimeo clip into your website with a custom widget. This theme has a review system and features like audio and video posts, that give dynamism to your creative website. 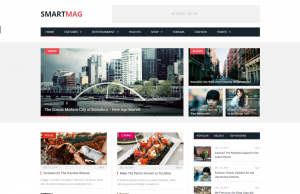 The SimpleMag template comes with three header styles and a smart footer that can adjust itself according to the number of displayed sidebars and widgets. Also, both header and footer areas can be customized, starting from colors, typography, borders, or links. SimpleMag is a social-friendly theme and, as a result, brings social sharing buttons to your posts helping the visitors employ your content. 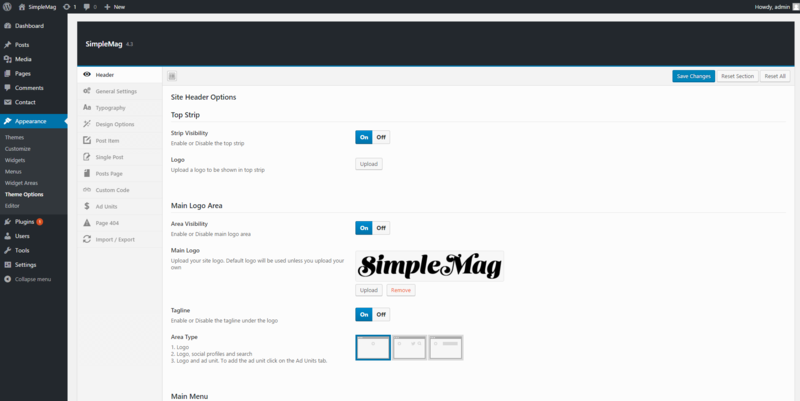 SimpleMag comes with a Theme Options panel that places all the settings in one place for you. 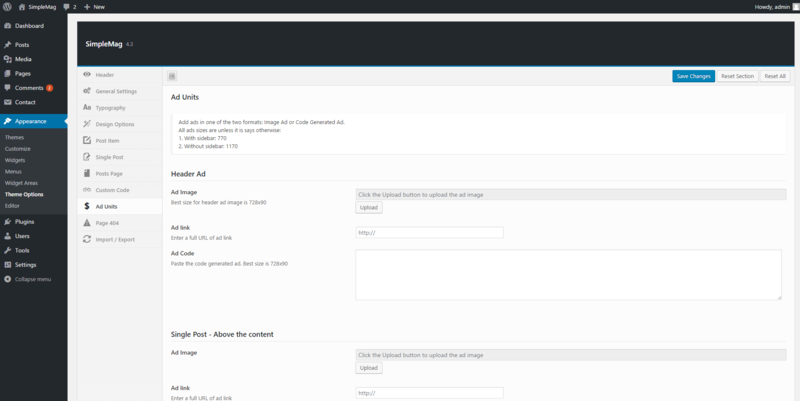 From there, you can customize the general design, header, posts, ads and import dummy files. 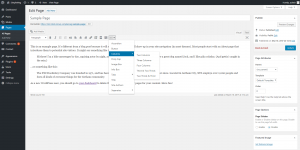 SimpleMag brings you a custom page builder called Page Composer. This page builder lets you add new sections to your pages, like text, posts slider, post carousel, custom slider, latest posts, latest reviews, image ads, code box, and more. You can insert a post slider and customize its type and style. With this in mind, SimpleMag also allows you to add one post carousel on a page, and set the maximum number of posts for this section. To work with the page builder, you’ll first have to setup the template style as ‘Page Composer’. Then you can drag the desired sections (Posts Slider, Carousel, Feed, Image Ad, Code box, and other). 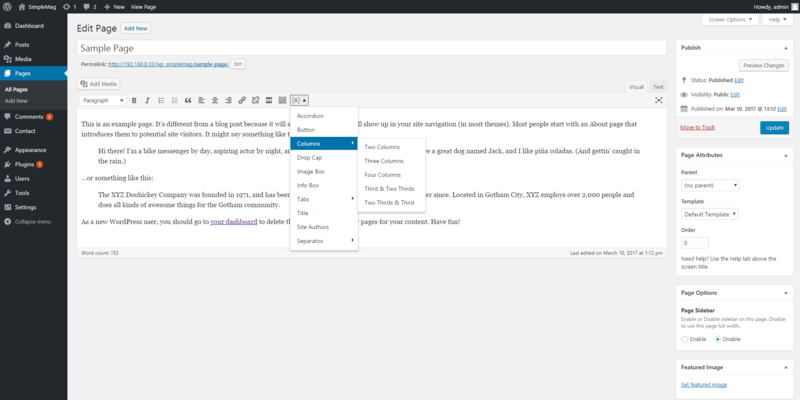 You can help your visitors reach the most relevant articles while displaying custom widgets on the sidebar. In addition, SimpleMag comes with over ten already-made widgets like About the Site, Featured Posts, Image Banner, Video, Latest Reviews, and others. 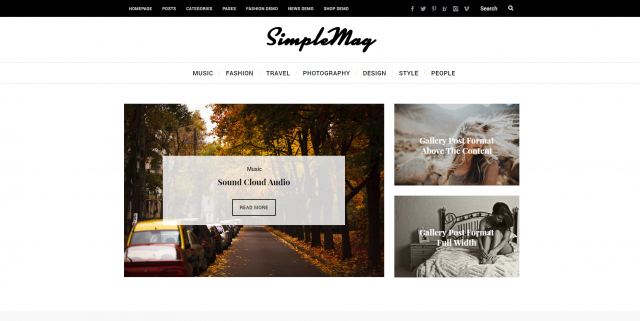 SimpleMag has an ad system designed to help you monetize your website. Therefore, you can add advertisements like ad images, ad links or ad codes into the header, above/under the content, and in the footer area. The theme comes with four free optional plugins recommended by the ThemesIndep developer. One of the plugins is Shortcodes Indep, which is a shortcode generator, allowing you to insert different buttons or settings into a post or a page, like drop caps, columns, image box, tabs, title, website’s author’s profile and other elements. The template is also compatible with popular WordPress plugins like bbPress, SEO by Yoast, WooCommerce, and WPML. We have tested SimpleMag default demo on different page speed tests, and the content loads at a medium page speed. Even if SimpleMag is a great template, it includes very few options dedicated to the news industry. For example, if the video posts are available, the video playlists are missing. As a result, the website’s content engagement rate can be affected by the lack of energy provided by the video content. The documentation is located in the file package, but it is not as detailed as expected, with very few print screens, and no video tutorials. It looks more like an ordered list. Furthermore, the theme’s knowledge base and video tutorials are outdated. In order to find them, you have to register on the author’s site. SimpleMag is a beautiful magazine for creative content, but with limited flexibility. 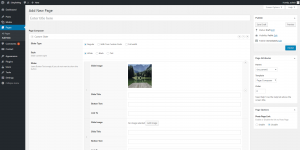 It will be a perfect theme to work with if you want to set up a site without code knowledge and advanced settings.Themes Indep author is updating the theme every once in awhile and fixes incoming issues. Inspired by the ‘Less is more’ motto, adopted by the German architect Ludwig Mies van der Rohe, SimpleMag uses the essential visual features, with a touch of meticulosity, just like in architectural design.